Akebono Brake makes west Japan manufacturing base a fully owned subsidiary｜News｜Akebono Brake Industry Co., Ltd.
Akebono Brake Industry Co., Ltd. (Chairman, President & CEO: Hisataka Nobumoto; Headquarters: Hanyu City, Saitama Prefecture) announced that Akebono Brake Sanyo Manufacturing Co., Ltd. (“Sanyo Manufacturing”), its sole manufacturing base in western Japan, will become a fully owned subsidiary as of August 1. Sanyo Manufacturing was established as a joint venture with Mitsubishi Motors Corporation, Hiruta Kogyo Co., Ltd. and Asagoe Machine Mfg. 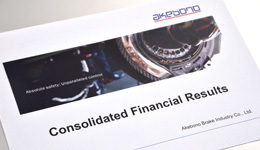 Co., Ltd., and was originally a consolidated subsidiary of Akebono Brake, which held 54.31% of its stock. On March 20 this year, Akebono Brake Industry acquired the 16,000 shares (ownership percentage 7.66%) held by Mitsubishi Motors Corporation, and Sanyo Manufacturing’s acquisition of the 73,500 shares held by Hiruta Kogyo Co., Ltd. (35.17%) and 6,000 shares held by Asagoe Machine Mfg. Co., Ltd. (2.87%), on July 31, will make it a fully owned subsidiary of Akebono Brake. 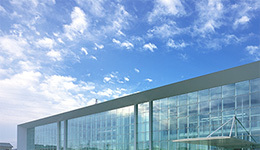 As a result of Sanyo Manufacturing becoming a fully owned subsidiary, all Akebono Brake manufacturing bases in Japan (also including Akebono Brake Iwatsuki Manufacturing Co., Ltd., Akebono Brake Fukushima Manufacturing Co., Ltd. and Akebono Brake Yamagata Manufacturing Co., Ltd.) will be fully owned subsidiaries. 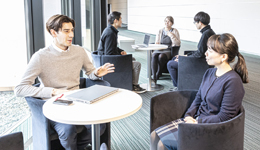 This will allow Akebono Brake to make and implement business decisions faster, and to strengthen its business infrastructure in Japan and its competitiveness. As a first step, part of Akebono Brake Iwatsuki Manufacturing Co., Ltd.’s drum brake production will be transferred to Sanyo Manufacturing. 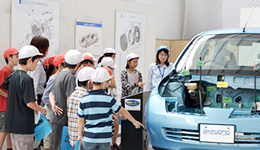 Sanyo Manufacturing has always possessed advanced technical capabilities in drum brakes and presses, and Akebono Brake will position the company as its key manufacturing base in western Japan, building on its strengths. In line with its new midterm business plan, akebono New Frontier 30-2013, which ends in FY 2015, Akebono Brake aims to further expand and strengthen its business in North America, which has become the Group’s largest market, to expand its business in Europe through the introduction of high-performance brakes, and to strengthen its business in emerging countries, centering on the growth markets of Asia. 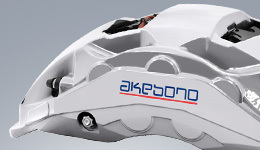 Akebono Brake positions Japan, where the core Group functions are located, as its center of technology and monozukuri, value-added manufacturing, and the conversion of Sanyo Manufacturing to a fully owned subsidiary is part of the implementation of this plan.